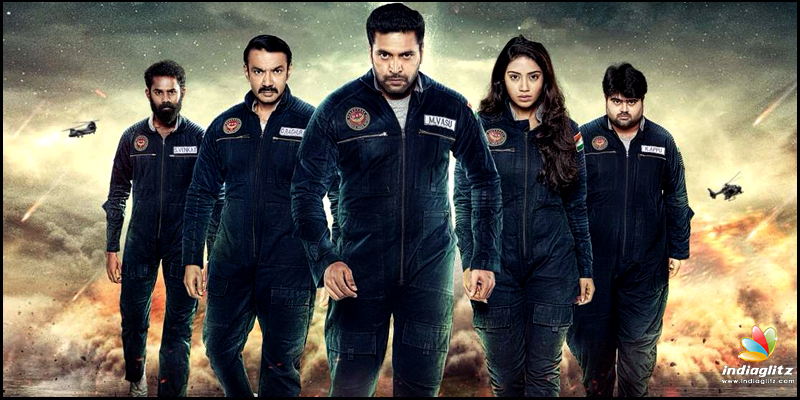 The Defense Space Division team finds out that a huge asteroid will hit earth in less than a week, they decide to take matters into their own hands and form a team that is capable of saving South India. A team is put together with the task of infiltrating a space station that has a rogue nuclear bomb, and then blasting it off to the asteroid in an attempt to save earth. 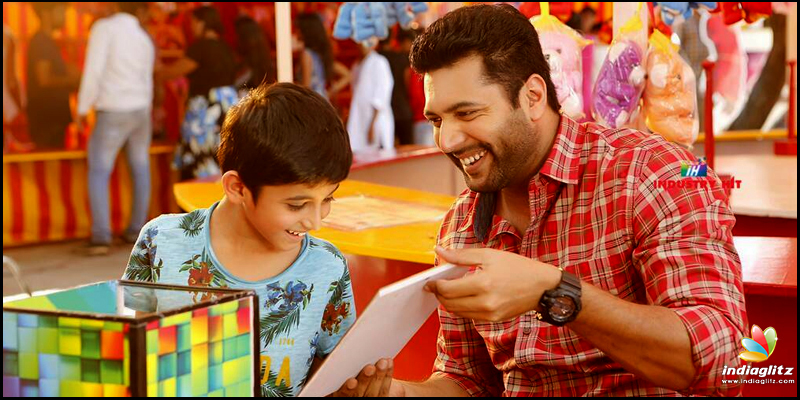 As a magician, escape artist, con man – Jayram Ravi is very comfortable in his role. His son Aarav has done an extended cameo as the hero’s son and has a crucial role to play too. 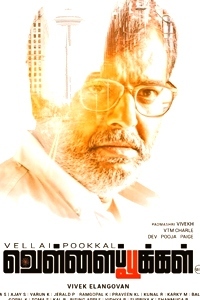 Along with Ravi, Ramesh Thilak and Arjunan join the expert team of Vincent Ashokan and Nivetha to embark on this dangerous yet important mission under the watchful eyes of the DSD head – Jayaprakash. 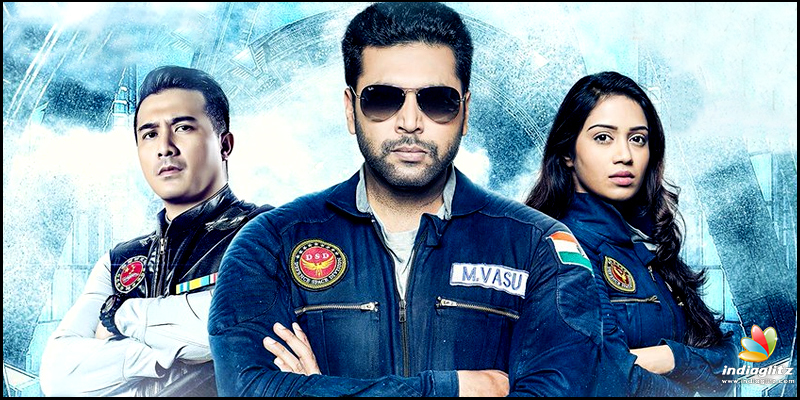 Once the mission is set, director Shakti Soundar Rajan springs some surprises down the plot; though quite predictable, the stage is set with a strict timeline to save the world. The film shoots of into space quickly without wasting much time, the crew is handled the task to infiltrate a space station where an army of soldiers guard the nuclear bomb. They rely heavily on Jayam Ravi’s area of expertise to con and retrieve the weapon. With the clock dangerously ticking even as the asteroid approaches the earth’s atmosphere, an army ready to kill the Indian crew, lots of twists and finally vast emptiness of space the plot is set for a tight finish. Its hard not to compare Tik Tik Tik with Hollywood space movies, yes if you are a movie buff, the tendency to feel dejavu for several scenes is natural. But every single scene is portrayed as an inspiration and continues to innovate rather than just copy paste from any other space movie. An audience that has never seen Hollywood or space movies is bound to enjoy more, for the minute detailing is top notch. The space scenes, especially when the actors lose gravity is handled brilliantly, by keeping in some light hearted banter makes it more enjoyable. Ramesh Thilak and Arjunan’s antics while preparing for the mission is a complete riot and shows the lighter side of a rookie preparing for an unexpected journey. Without going much into technicality, the director has kept the dialogues simple to get the layman a dose of space and its feel; that really is the film’s biggest plus. Probably some of the fail points of the movie would be the logical loopholes, like a simple petty thief breaking into a Chinese space station without much struggle. The editing gets clueless when the situation becomes technical and it draws blank expression from the lead characters. 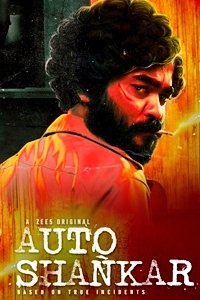 That said, these are ignorable loopholes that come at a time when Indian Cinema is ready to experiment and Tik Tik Tik is certainly the first step towards a huge dream; Shakti Soundar Rajan can surely take the prime appreciation. With 80 minutes of VFX, most of it are done amicably, even though faint traces of budget constraint is evident. Imman’s powerful BGM across the space horizon resonates deep into the screenplay, it certainly aids Venkatesh’s work behind the lens. 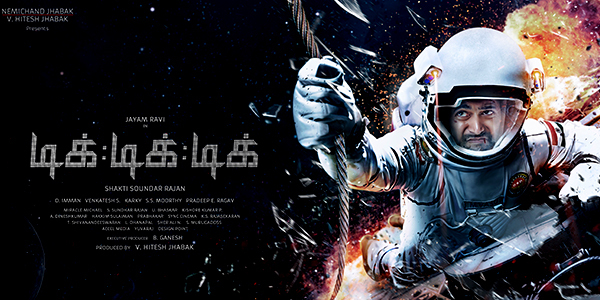 Moorthy’s art direction for space station, ground station, shuttle and most of the internal work deserves a mention. 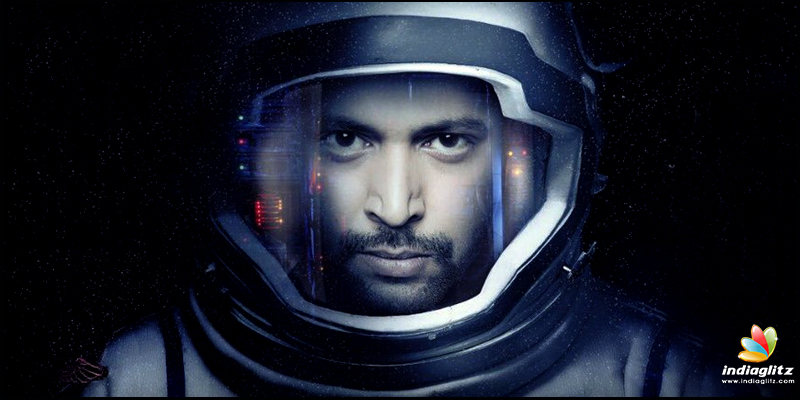 Jayam Ravi's ability to experiment certainly has paid off. While the film has some setbacks on predictability, logic and so on, the simple narration, father – son sentiment, and light hearted humor with a space backdrop has certainly paved off. 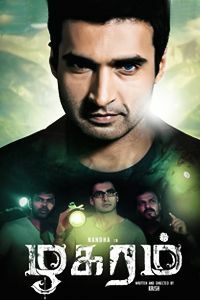 Verdict: Tik Tik Tik is a text book approach on how to keep cinema entertaining and experimenting even while utilizing production budget to its best available resources. Watch it in theaters to enjoy it thoroughly.